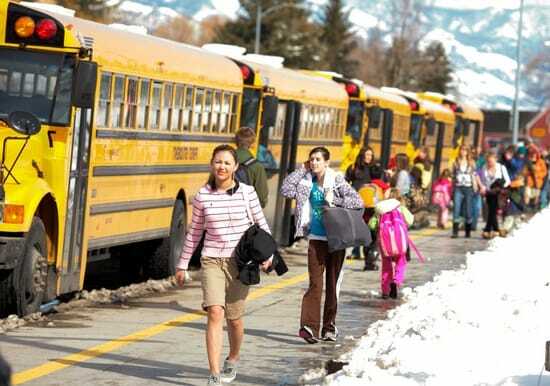 Is a year round school a good choice from the educational perspective? Would it solve the problem of children’s performance at school? Will it help to make students decent citizens in modern globalized society? There are a number of questions that are still to be answered, but first the pros and cons of year round school are to be discussed. Some of the most widely known advantages and disadvantages of year round schooling will be analyzed further. Among the pros of this type of schooling is the fact that shorter summer holidays would ensure better performance of children at school, as much information acquired during the classes will not get lost as it usually happens during the summer breaks. Furthermore, if year round schools are introduced, there would be no need to finance the summer schools, which is a significant advantage of this kind of schooling. What is more, the holidays will be distributed during the whole year, which will make it easier for parents to plan some family trips giving children an opportunity to have a more productive rest after the school is over. There will also be no need to teach the already covered material one more time, as it often happens in case the vacation is too long. This will allow distributing the learning time more efficiently. Furthermore, year round schools are beneficial for those families who are looking for childcare facilities for the summertime. This is associated with additional costs, the need for which will be eliminated owing year round schools. What is more important is that the educational system at year round schools is more globalized, which gives students an opportunity to get more experience and acquire more valuable skills that will be highly beneficial for the future career of students. Furthermore, year round schools are associated with more time spent for instruction, which will help students with poor test scores to keep up with the educational process. On the other hand, there are also some drawbacks of year round schooling as will be analyzed further. The first and foremost drawback of year round schools is high maintenance costs associated with such schooling. Various kinds of equipment will have to be maintained all the time, which is associated with additional expenses. Furthermore, children are likely to experience difficulties with being attentive during classes because they will have to study for significantly longer periods of time without any rest. This may lead to students showing poor results during classes. There might also be some behavioral problems. What is more, some students have to work after classes in order to earn money for living or further education. Year round school is likely to interfere with the process of job search and the work itself, as students will have to somehow distribute time spent for education and work. This is hard to accomplish because year round school has longer learning hours. Besides, it will be hard to keep professional and qualified teachers because the schools will have to provide more competitive conditions of work, which is hard to realize because it is associated with excessive expenses. Finally, students will have little chance to enjoy activities after classes. This includes some sports events or some other means of entertainment. This is because the school days will be much longer than in usual schools, so that students will simply have no time for various fun activities as they will be fully engaged in the learning process. This is highly unfavorable for students as they will have little chance to spend time with other students of their age. Even the summer camps will not be an option, which is a significant shortcoming of year round schooling.